What Is a Design Sprint and Why Is It So Effective? Organizations are becoming increasingly aware that good design is good for business. But what is design? Is it fonts, colors, and imagery — or is it something more? 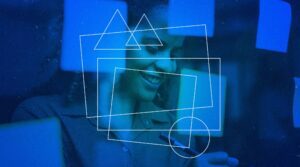 The definition of design has broadened and the approach has become much more inclusive, particularly since the advent of methodologies such as service design and design thinking. Design is no longer the domain of professional designers alone but rather a multi-disciplinary team approach to creative problem-solving. It is an attitude of resourcefulness and inventiveness that pervades the culture of the modern business world. Through cycles of divergent/convergent thinking followed by iterative design and testing, teams generate a higher number of quality ideas and more efficiently converge upon the most promising solutions. A recent study by InVision including data from more than 2,000 organizations worldwide showed that nearly three-quarters of companies have improved product quality with design. It also showed that organizations that integrate design practices report additional positive outcomes including cost savings, revenue gains, and brand and marketing positioning improvements. Brian Collins, legendary American designer said in an interview with Forbes that “Design lets you rehearse the future.” That quote gets right at the heart of the matter because without integrating design into your business practices, you are missing the opportunity to safely experiment with “what-if” scenarios before it’s too late. So how can we integrate design thinking into our business processes to safely to rehearse for the future? In 2016, Jake Knapp (formerly of Google Ventures), devised a new method of applied design thinking called design sprints. Jake refined his approach with over 150 startups and published his New York Times Best Seller, Sprint – How to Solve Big Problems and Test New Ideas in Just Five Days, in 2016. Design sprints are a safe way to explore bold solutions to risky problems. They enable teams to test a potential solution with real customers in just five days. Teams experience velocity and creativity like they never have before. 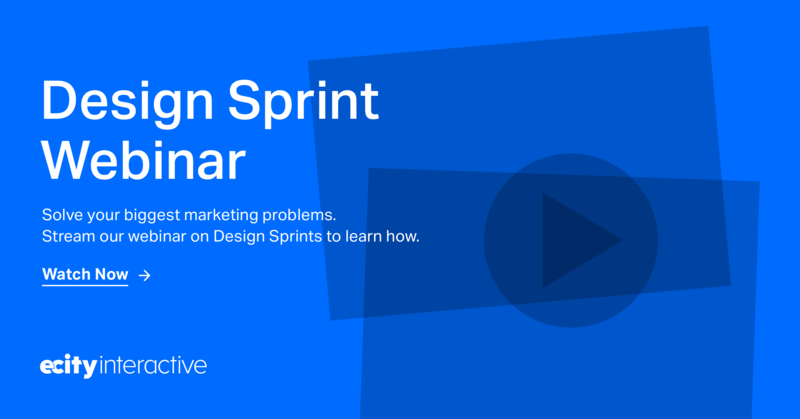 What Makes Design Sprints so Effective? Research has shown that people in groups generally make lousy decisions. People working independently are better at generating high-quality, divergent ideas than people working in teams. Teams are good at converging on a single solution, particularly when the process is structured to reduce debate and grandstanding, but when it comes to generating quality over quantity, individual effort is the way to go. Design sprints address the problems of brainstorming sessions with tightly structured, time-boxed exercises that generate the best ideas from your team. You’ll work independently to generate and iterate on your best ideas and then converge on the best approach with a process of silent voting. The process is both egalitarian and highly efficient. At key points in the process, the Decider — a senior leader on the team — makes the critical decisions, but he or she does so informed by the opinions of the team. The traditional Google Ventures design sprint is a 5-day in-person session. On Monday, you’ll make a map of the problem. On Tuesday, each team member sketches potential solutions. On Wednesday, you’ll decide which sketches are strongest. On Thursday, you’ll build a realistic prototype. And on Friday, you’ll test that prototype with five target customers. It’s important to choose carefully when deciding who will participate in your design sprint. The team should include people who are regularly involved with the project and should represent a variety of functional areas such as marketing, development, design, finance, etc. You’ll want the key people involved so that they can benefit from the shared understanding that results and have a feeling of ownership and contribution. One senior leader on the team (or perhaps two) will be designated as the Decider. He or she will make critical decisions along the way. If the Decider can’t attend for the entire week, it’s important that they 1) are sure to attend at three critical decision-making points throughout the week, and 2) that they appoint a delegate to act in their absence. And of course, you’ll want experienced facilitators who know the method inside and out. By that, I mean people who are not only experts at design sprint facilitation but have also participated as sprint team members at their own places of business. You’ll want someone who is very comfortable leading a team of senior leaders and directing their activities throughout the week; someone who knows how to deal with conflict when it arises and keep the team on-task and on-time. The team absolutely must clear their calendars for the entire week. So it’s important that you choose a challenge worthy of the time investment. If the problem isn’t critical, then our team won’t dedicate their time. Design sprints are an opportunity to address a high-stakes, complex problem. It’s critical that the problem be well-understood. If your team isn’t clear on the nature of the problem and its importance, consider another approach such as a problem-framing session where you evaluate, verify, and prioritize your business challenges. Sprints are a good fit when the problem is well-understood but the team can’t agree on how to address it, or when they’re just plain stuck. Sprints are also great whenever you’re short on time or when your ideas for a solution haven’t been field tested. Remember, you’re experimenting and looking into the future. Don’t waste the opportunity by being anything less than bold. With the right team assembled, the calendars cleared, and the right problem selected, you’re well-positioned for a successful design sprint. You’ll essentially start at the end by getting optimistic and setting your long-term goal. You’ll imagine the best possible outcome and write it as a team. Next, you’ll shift gears and think pessimistically. Imagine you were to fail. What went wrong? What are the assumptions you are making that could be false? These are the questions that your prototype and testing should answer. You’ll draw a simple map of the problem space on the whiteboard, interview outside experts for fresh perspectives, and choose a target for the sprint: a single user and their key experience. You want to select a critical, yet manageable piece of the larger problem that you can prototype and test in five days. You’ll spend Tuesday generating your team’s best ideas in a four-part sketching exercise. You’ll work independently, generating solution ideas and iterating on the one that holds the most merit. The day culminates in each team member finishing a solution sketch — a one-page, anonymous, self-explanatory document of their best idea. Wednesday morning begins with a fast-paced “speed critique.” The solution sketches go on the wall and the facilitator reads them aloud to the team, pointing out the main ideas. The creator remains silent until the end of each 3-minute critique. The team points out any key elements the facilitator missed, and only at the end does the creator reveal themselves and provide any details the team overlooked. Friday is where the rubber meets the road. Your facilitator will have prepared an interview script to ensure that they ask the same questions of each participant and that they address the sprint questions identified on Monday. The facilitator and participant will be in one room and the audio, video, and screen activity will be streamed back to the sprint room where the team observes and takes notes. Half an hour breaks after each of the 5 sessions allow plenty of time to organize notes and identify key themes. People often ask how only five test sessions can be meaningful. You’ll uncover roughly 80% of the issues with only five users. If you test with more users, you won’t be learning much more, but you will be working harder and spending more time. Design sprints are all about maximizing the benefit with a minimal investment of time, so five is the perfect number of test sessions. At the end of the day, you’ll identify key themes both positive and negative and decide upon the next steps. The solution tested poorly. You just saved your team months (or even years) of going down the wrong path. The next best step may be to conduct a three-day mini-sprint of sketching, deciding, prototyping, and testing. The solution was well-received. Your team now has a big head start. No matter what the outcome, you’ve achieved a great deal in a very short amount of time while learning engaging, inclusive, and efficient methods for bravely exploring ideas and making good decisions. We’re all competing with the future. We need a way to experiment boldly yet safely with new ideas to address high-stakes problems. Guided, time-boxed exercises keep you productive, energized, and focused and are designed to eliminate debate and argument while getting the best ideas from the entire team. The experience is inclusive and respectful, yet decisions are made with authority. You’ll foster a spirit of innovation and energy in your team that you have likely never experienced before. Every design sprint is time well-spent either as a highly-efficient failure, a success that puts you way ahead of the game, or a good plan that needs a few tweaks. When facilitated properly by experts, every sprint team wins. This post has only scratched the surface of the value of design sprints. To learn more, sign up for our free 60-minute webinar on April 23.